Sinclair was one of 27 in the guest category. Born in Winchburg in West Lothian, the outside-right started his career with Falkirk. 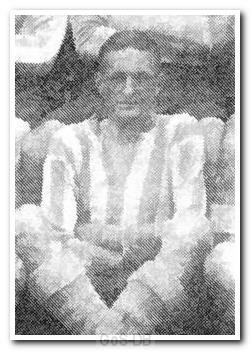 Moving south of the border, he had made just two appearances for Chesterfield when war was declared, although he continued to play for the Spireites in their regional league throughout the war years. His one game for Argyle was on the last day of the Football League South season, after which he left Chesterfield for Darlington, where, in a two year stay from 1946-48, he played 66 times and scored 11 goals.